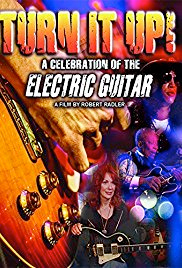 If you like guitars or guitar playing, check out this documentary from 2014 hosted by Kevin Bacon. (Free on Amazon Prime.) It includes interviews and amazing playing excerpts from many great players. They talk about the mojo magic of various old guitars and their prices, out of the stratosphere. Near the end there’s a look to the future of guitar “modeling” using computer technologies. It’s fun to hear these luminaries discuss how tech is where guitars are going, and others say it’ll never be the same. (I believe in digital—as long as the grid stays on.) But the real heart of this piece is the love these people express for the instrument.